If you’ve ever been to Atlantic City or the Jersey Shore, then you’re probably already familiar with Luke Palladino’s various restaurant establishments, focusing on innovative Italian cuisine. His latest venture, Palladino’s, brings his talents to Philly’s booming culinary epicenter, East Passyunk Ave, and focuses on Italian food as well as wood-fired steaks and chops. And it just so happens, they have a burger on their menu! Offered at the bar and during brunch, the 8 oz. 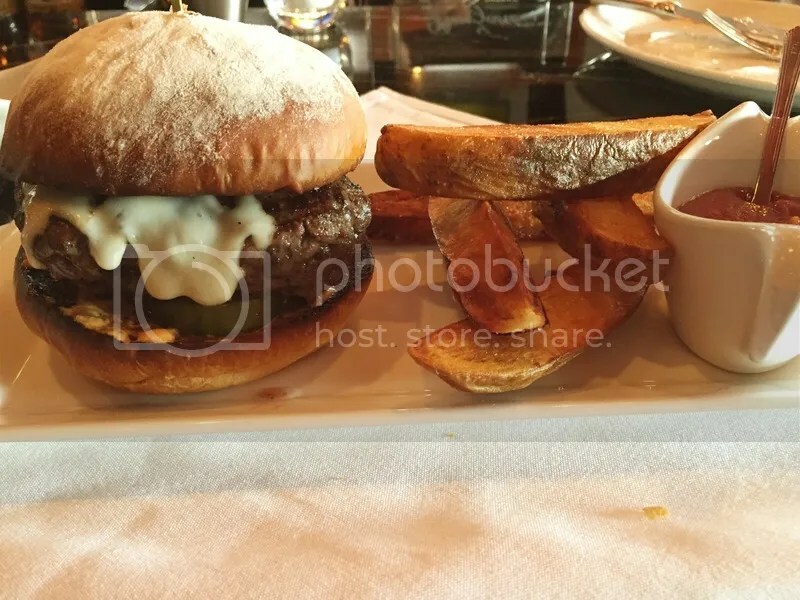 wood-grilled burger is served on a house-made snowflake roll, and comes topped with Tallegio cheese, thick cut pickles, and smoked chili ranch. I was skeptical at first when I heard the words “wood grilled”. Would special attention be paid to my requested temperature, or would my burger come out overcooked? This is a steakhouse after all, so I really should have known better – ensuring meat is cooked to the requested temperature is their specialty! 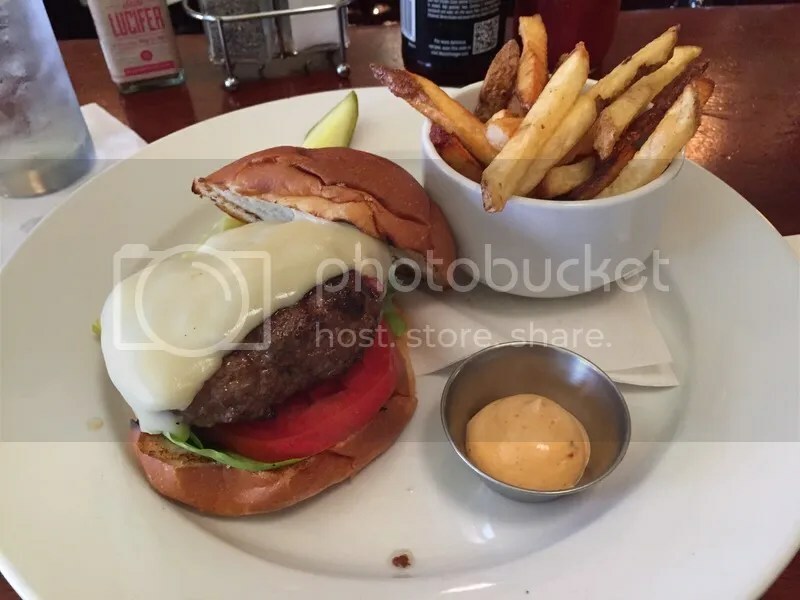 My burger came out perfectly medium and was delicious, flavorful & juicy with every bite. The house-made bun was lightly toasted, yet still soft and fresh (although I did have to keep wiping the flour dust off my hands). The cheese was gooey and the pickles had a nice crunch to them. The smoked chili ranch wasn’t overpowering, which was good; this way you could taste the freshness of the meat. 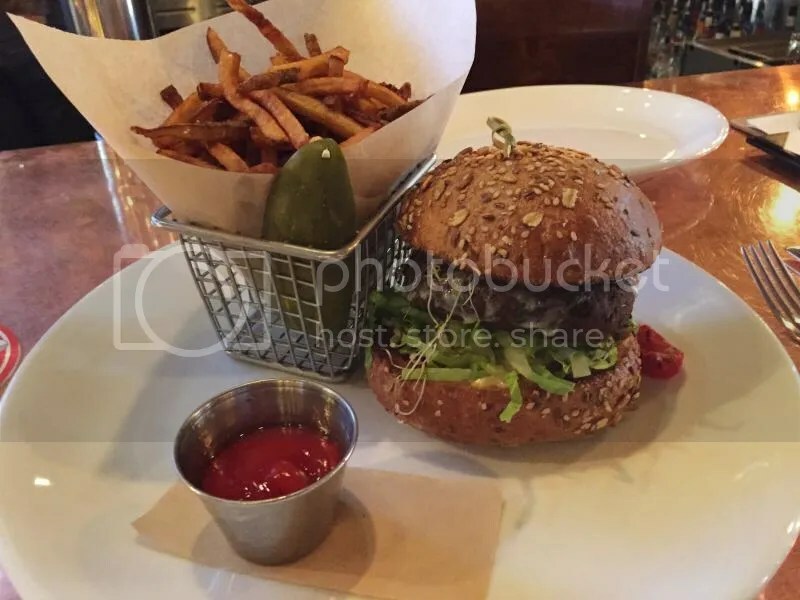 The only downside of the meal for me were the accompanying wedge fries, which were too thickly cut and not cooked enough for my liking, and the house made ketchup was way too sweet. Otherwise, the burger was perfect and (especially on the 90+ degree day when I went) didn’t leave me feeling weighed down or super full. And since Palladino’s is launching their brand new happy hour TODAY (! 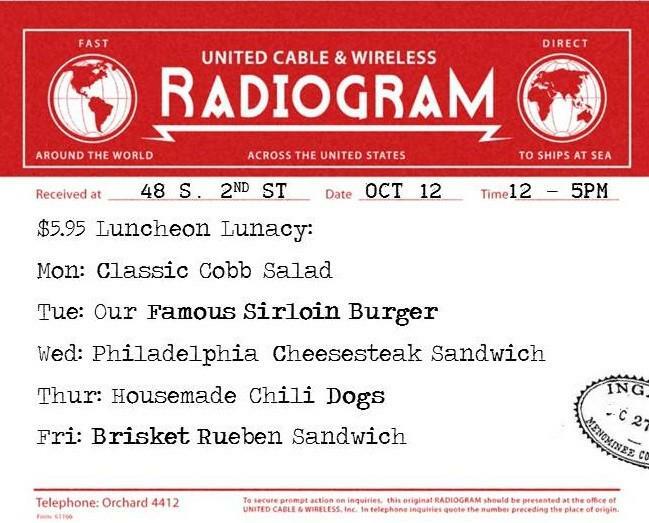 ), you can check out the burger Monday through Friday from 5-7 PM and Sundays from 2:30-5 PM for only $10! 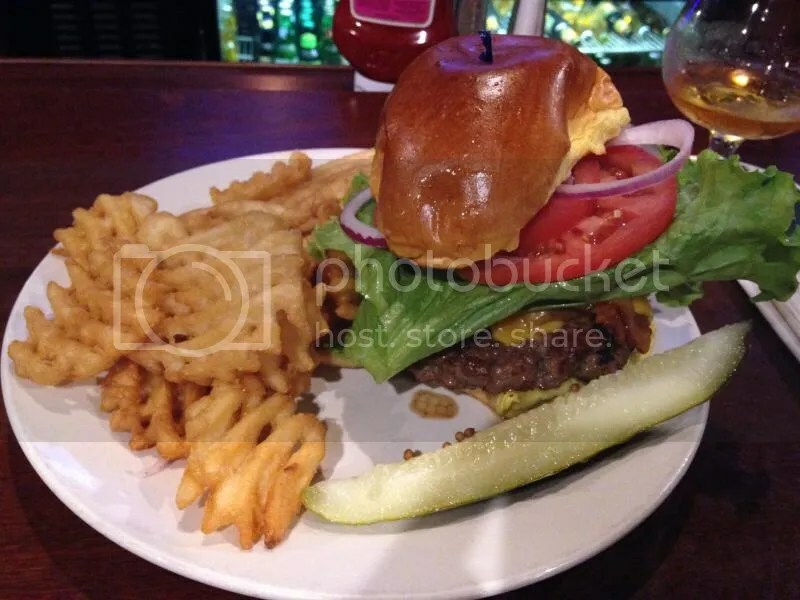 Posted in bar burger, buns, burger, burgers, East Passyunk Ave, EPX, Luke Palladino, Palladino's, pickles, snowflake bun, South Jersey, South Philly, steakhouse, tallegio cheese. Bookmark the permalink. I’ll admit, even though last year’s Meatless March challenge proved that there’s a definitely great veggie burgers to be had, I’ve been setting my expectations pretty low. Even more so if I’m going to a place whose beef burgers weren’t that great. I’d been to the City Tap House in University City before, but they just opened a new location in Logan Square close to my job so I figured I’d check it out. 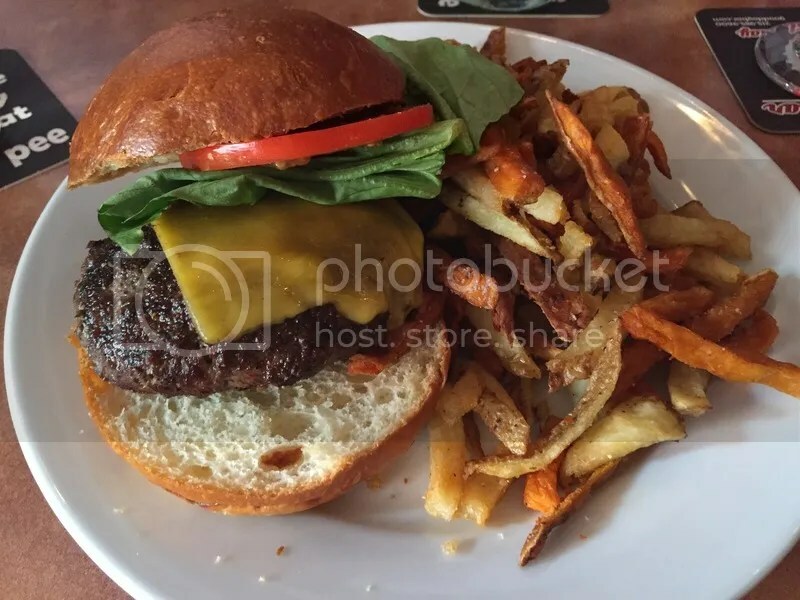 Their veggie burger is a wild rice, oats, black beans and beet patty topped with aged cheddar, dijonnaisse, roasted tomato, and alfalfa sprouts on a multi-grain bun. Honestly, a bar or a pub is the last place that I would expect myself to order a veggie burger at and I definitely was not expecting it to taste good. But this one tasted AMAZING! (Yes, I actually used those exact words when the bartender asked how everything was). All the different components – the oats, the beets, the beans – just worked together so beautifully and gave everything a great flavor. The cheese was probably what did it for me the most (I thought it was a pretty bold move to put cheese on a veggie burger since you might normally associate the typical veggie burger eater with being a Vegan). I could barely tell that I was eating a veggie burger at that point, and that’s what had been lacking in a lot of other veggie burgers I had. Also: the dijonnaisse – that gave the burger a little kick, clearing my sinuses right up! The multi-grain roll was a nice, healthy touch; soft but lightly toasted, adding some crunch (which, if you’ll remember from last week, was one of my issues with the super soft bun used at Taproom on 19th). As my burger arrived, some guy was passing by my table and said, “Well at least the burgers look great!” Well sir, they taste pretty great, too! Posted in bar burger, beets, black bean, burger, Center City, cheddar, cheese, City Tap house, dijionaisse, Meatless March, multi-grain, veggie burgers, veggies. Bookmark the permalink. Full disclosure: I’ve eaten the burger at The Institute before but I didn’t write about it. Why? Because when I did, it was a sad, overcooked, double-pattied mess that I struggled through and barely finished (which disappointed the hangover I was trying to feed). Looks great, right? Appearances can be deceiving! But hey, everyone has their bad days! Which is why I decided to give them a second chance nearly two years later. Checking back in this week, the burger is down to a solo 6 oz patty and comes topped with your choice of cheese. I went with cheddar, as per usual. 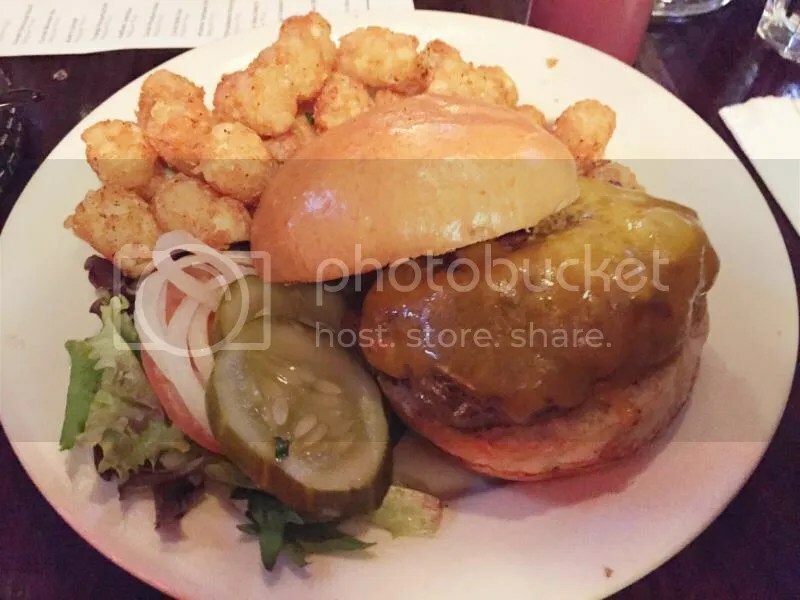 Lettuce, tomato, onion & pickles on the side and of course, The Institute’s signature side of tots. The burger was cooked perfectly medium; bright pink in the middle and full of juicy deliciousness. The bun was a soft brioche. 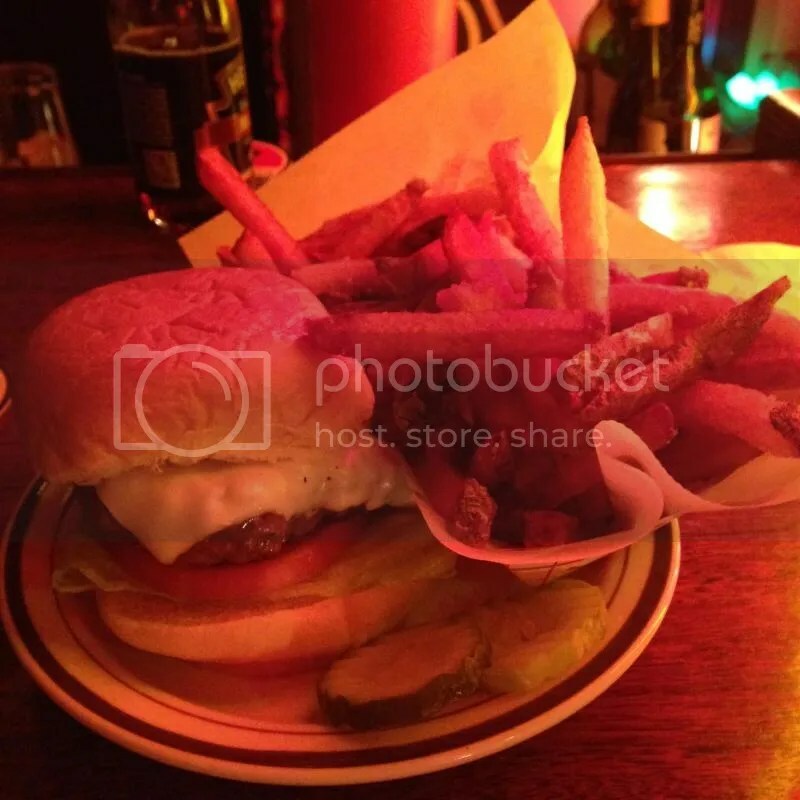 Everything was perfect and no-frills, just the way a good bar burger should be. I’m glad I decided to give them a second chance. 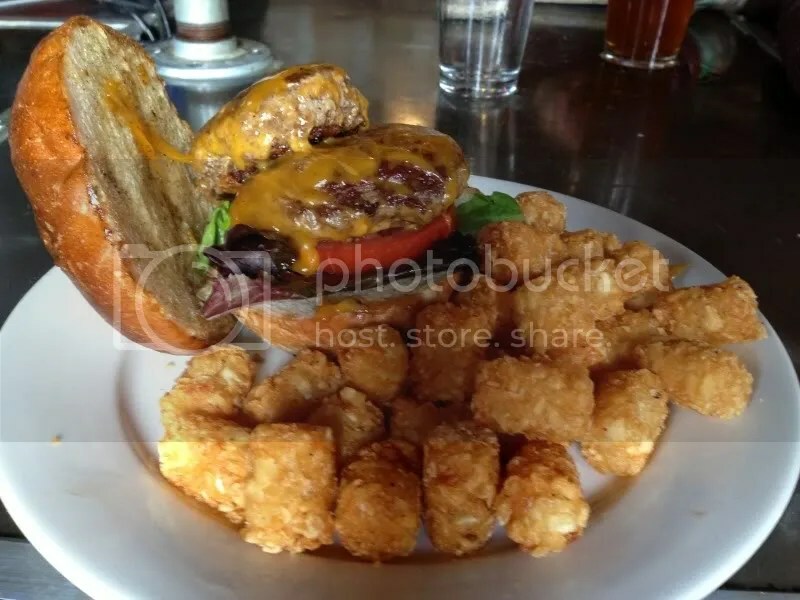 It was an extreme improvement over my first visit & might just be my new favorite burger! And if you’re checking out the Craft Beer Express this year (Saturday, March 14th), you’ll need fuel for all that drinking, so order up one of these bad boys when the bus makes it’s stop here – you won’t be disappointed. Posted in bar burger, brioche, buns, burger, burgers, cheddar, cheese, pickles, The Institute. Bookmark the permalink. When I used to commute to Montgomery County daily, I drove past MaGerk’s in Fort Washington every day. Once a month or so, the office would congregate there on a Friday afternoon for happy hour, but surprisingly, I had never eaten there before! Since it’s on my drive home and Mondays just happen to be half-price burger night, I figured I would check it out. There are about five burger options to choose from, including an avocado topped California turkey burger & a build your own Angus burger option. I opted for the build your own topped with cheddar cheese and bacon (for an additional 50 cent each) – because, hey, why not? It’s half price! Posted in Angus beef, bacon, bar burger, beer, buns, burger, MaGerk's, Montgomery County, potato bun, Suburbs. Bookmark the permalink.